The adults-only El Dorado Casitas Royale is located on the tropical beaches of the Riviera Maya, with the largest artificial coral reef in the world just beyond the shore. Enjoy the luxury of private pools, beach butlers, and much more to ensure you stay satisfies all your desires. 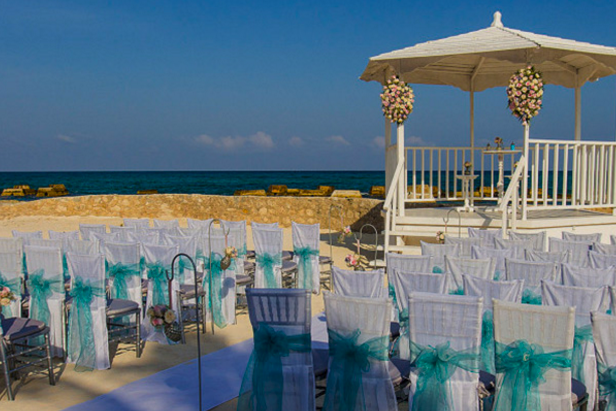 The scenery is incredible, offering natural beauty no matter which venue you choose to hold your wedding ceremony at. 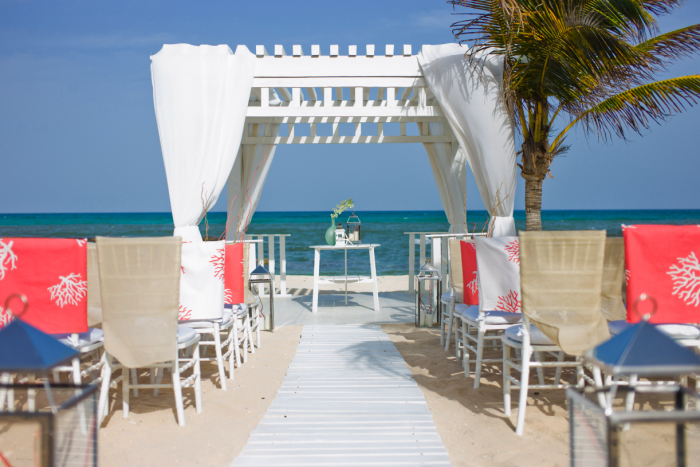 Can accommodate any wedding size and has the most beautiful beachfront ceremonies, up against the crystal clear turquoise waters of the Caribbean Sea. Chapels are available if you want to have a more traditional wedding, or for any religious ceremonies. Brides looking to be treated like royalty will enjoy the Memorable Moments Bridal Floor! She and her party can relax and be pampered with pre-wedding massages, facials, manicures and pedicures performed by the spa concierge, and makeup and hair styling done by a team of artists. There is also access to six private suites with gourmet bites and champagne! We are proud to say we are one of the Karisma hotels preferred partners, so we are able to offer additional amenities to our couples! These include free room upgrades, free spa treatments, and free romantic beachfront dinners! Contact us for more details. 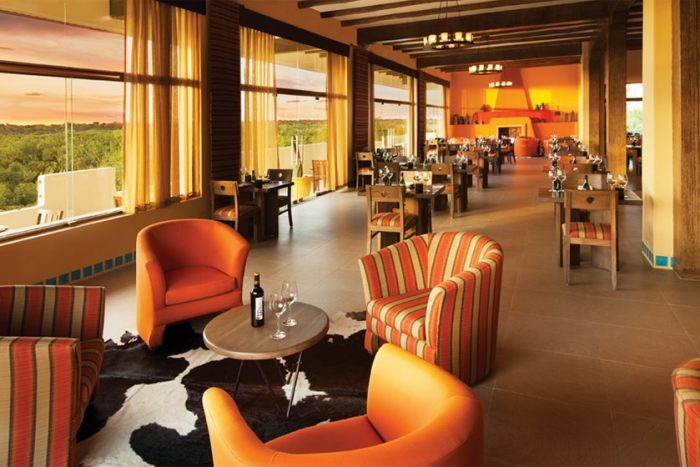 Rooms range from $280 – $320 per person per night. All rooms include an outdoor shower, indoor jacuzzi, and beach butler services from 9am – 5pm. Guests looking for the ultimate relaxation will enjoy the Connoisseur One Bedroom Suite, including a personal butler and chef, private swimming pool, and an outdoor hammock and bed. There are 205 total guest rooms all with ocean views. Guests staying in the Presidential Studio Infinity Pool Casita Suite or rooms of a higher category will receive a private shuttle to transport them around the property. All rooms will only allow up to 2 adults. The Presidential Studio Infinity Pool Casita Suite and higher all include a personal butler. The El Dorado Casitas Royale is located about 20 miles from the CUN airport. 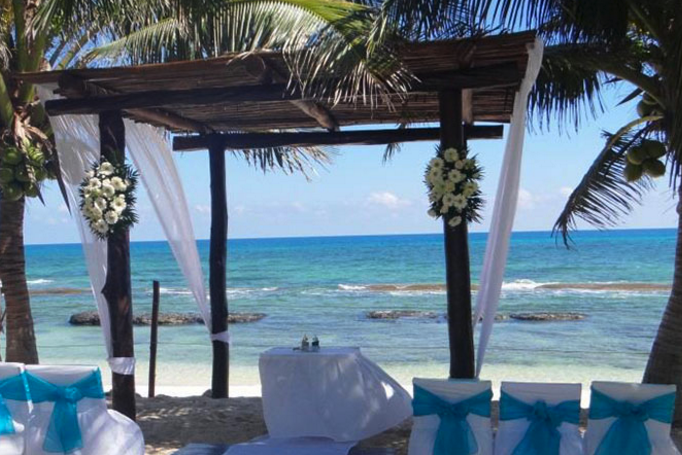 The resort is about 15 minutes outside of downtown Playa Del Carmen. All rooms will only allow up to 2 adults. The Presidential Studio Infinity Pool Casita Suite and higher all include a personal butler. This resort is adults-only for guests 18 and older. 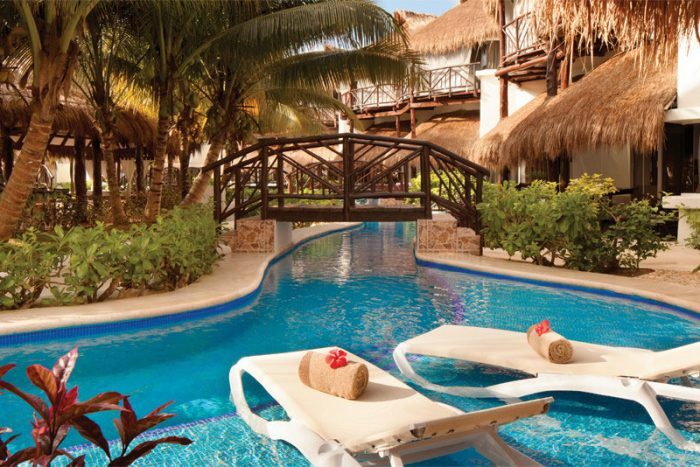 The El Dorado Casitas Royale is located 20 miles from the CUN airport. The resort is about 15 minutes outside of downtown Playa Del Carmen. – We are proud to say we are one of the Karisma hotels preferred partners, so we are able to offer additional amenities to our couples! These include free room upgrades, free spa treatments, and free romantic beachfront dinners! Contact us for more details.